After several years of languishing in development, Warner Bros. is finally moving forward with their Jonny Quest live action adaptation, with Robert Rodriguez now set to direct. The filmmaker will also rewrite the script with Terry Rossio, from the original draft by Dan Mazeau that made The Black List in 2008. Warner Bros. hopes to turn this live action adaptation into a family adventure franchise. 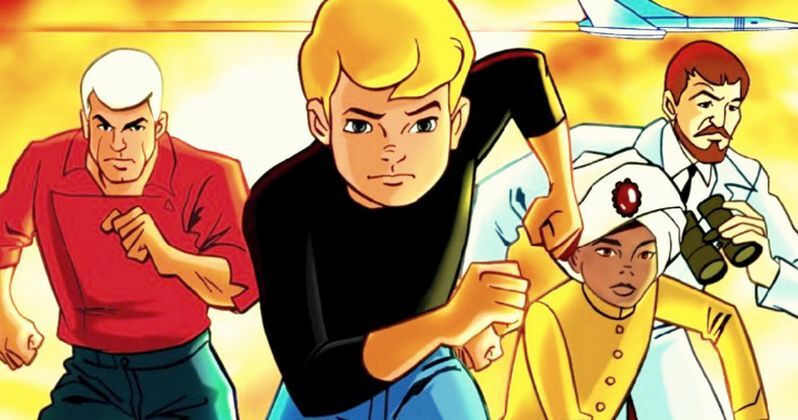 The original Jonny Quest animated TV series ran for just one 26-episode season between 1964 and 1965, following the adventures of the title character as he goes on adventures with his scientist father, their bodyguard Race Bannon and Jonny's friend Hadji, as they tried to stop the nefarious Dr. Zin. The title was revived with the 1996 series The Real Adventures of Jonny Quest, which ran for two seasons. No specific plot details were given for this new movie remake. Warner Bros. had tried to get this project off the ground several times, with directors Richard Donner and Peter Segal previously attached to the project. Most recently, another version was being put together in 2009 with Zac Efron attached to star as the title character, with Dwayne Johnson playing Race Bannon. Dan Lin and Adrian Askarieh are producing, but it isn't known when production may begin at this time. Robert Rodriguez most recently directed last year's Sin City: A Dame to Kill For.